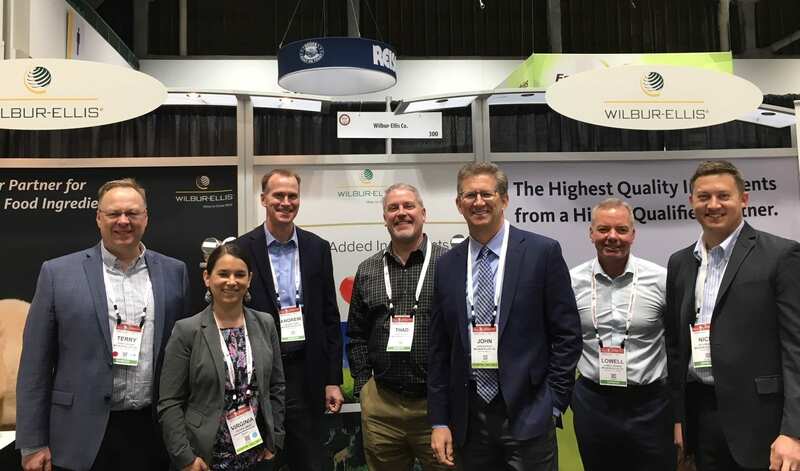 Wilbur-Ellis CEO John Buckley (pictured third from right) with the Feed team at Petfood Forum in April 2018. My path to CEO wasn’t an obvious one. When I was young, I had dreams of becoming an astronaut, and in college I studied engineering. I worked in manufacturing after school for a few years, and then supply chain management for a few years after that. Over time, exposure to broader business strategy made me realize that what I really wanted to do was lead a team to business success. There was just one problem — I had no sales experience, and I felt if I ever wanted to be a truly effective business leader, I needed a real understanding of what it’s like to sell to, and serve, the customer. Fortunately, someone took a chance on me, and I was able to turn that into a 10-year stretch in sales and sales management. I believe this range of experience is one of the things that best prepared me to be Wilbur-Ellis’ CEO. I’ve seen firsthand that each part of a business plays a critical role at any company, and that’s certainly true here at Wilbur-Ellis. In fact, I’ve learned a lot about Wilbur-Ellis’s values — Integrity, Diversity, Effort, Accountability and Service (IDEAS) — in the past five months, and I love that those values align with mine. If you know us, you know these values are our foundation along with the skills, creativity and dedication of our employees. That’s why no matter how much our business evolves, we will always think person-by-person instead of brick-by-brick. If we didn’t, mine would be an impossible job, because we’re a 4,200-person organization and every one of us matters if we are to achieve our goals as a company. It’s my responsibility to support our employees in delivering value to our customers, suppliers, shareholders and communities. Safety. In fact, I’d like to add another S to IDEAS, because safety is really a value more than a priority or project. With priorities, you have a number one, two, three, etc., but they’re subject to change. Safety cannot change. There should never be an occasion when a team cuts a corner on safety to get the customer what they need. Ultimately, we will better serve customers – and ourselves — when we operate at the highest levels of safety. 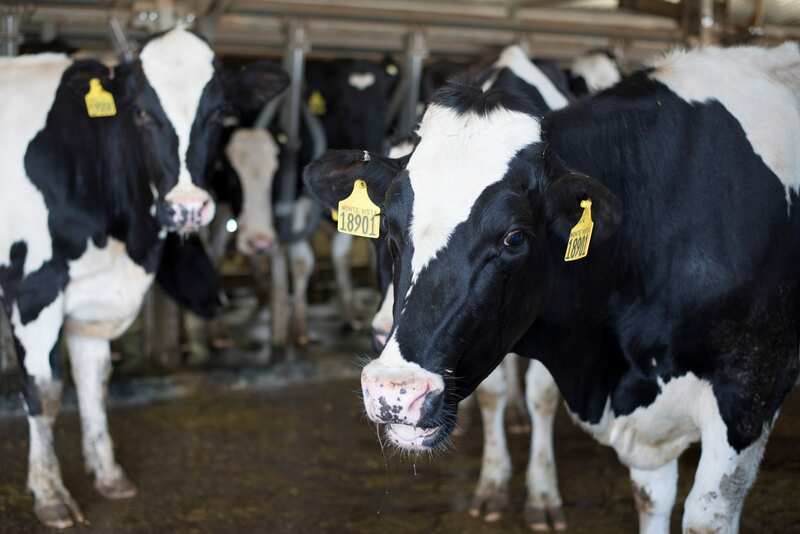 Wilbur-Ellis is already taking important steps by measuring things like injury rates, identifying their root causes and taking action to address. We recognize that to achieve our safety goals, we need to implement these processes and others and combine them with a culture that recognizes and values behaviors that keep us all safe. Customer Focus. Every business exists to successfully deliver a benefit to its customers, whether it’s a product or service. Focus on the customer is what we should all be about, and it’s certainly what I’m about. Every day we should all consider how we can deliver the most value to our customers in a differentiated way. This is going to be critical to grow our business going forward. That is why each of our businesses is evaluating where customers are now, where they are going and how we can help them get there. Diversity and Inclusion. More diverse organizations are more successful. That’s now shown in study after study, and it makes sense to me as an engineer. The more support you have from different perspectives, angles and ways of thinking, the more likely you are to solve problems and create opportunities. And it’s not enough to just have more women and people from different backgrounds and experiences; they need to be included in the decision-making process. Diversity is about what you have; inclusion is about what you do. Many organizations have struggled with the inclusion part of this equation; my goal is to succeed in both. Wilbur-Ellis has a long track record of success. And, with our business strategies and a focus on what matters most, I see more positives ahead. I’m honored to be part of this Company and the team that will lead us into our 100th year of business and beyond.